When you invest in a Mazda, it’s important to keep up with routine auto service. Luckily, when you rely on the service experts at Headquarter Mazda, you can take advantage of oil service specials, brake service specials, and more. After you’ve taken a look at our Mazda auto service specials online, make your way from Winter Garden whether you’re in need of routine maintenance or major repairs. Plus applicable taxes. Valid only at HEADQUARTER MAZDA. Cannot be used with any other applicable offer. Mazda vehicles only. Prices may vary by model. Hazardous waste fee if applicable. Please present coupon at time of write-up. Coupon expires 07/07/2019. When you leave your vehicle with our Clermont service department, you can be confident that it’s in good hands. Whether you’re in need of a Mazda oil change or larger auto repairs on your transmission, you can count on our experienced technicians to give you great results for a fair price. Our service team will make sure your ride is in good shape before you drive it around Leesburg. Have any questions about our auto repair offerings or how to open your Mazda key fob? 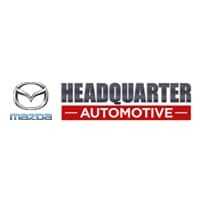 Contact our Mazda dealership today.